Writing, like professional sports, is full of big-time money, glamor, and adventure. And the staff at the Matt Adams Writing Experience wants you to live the dream! 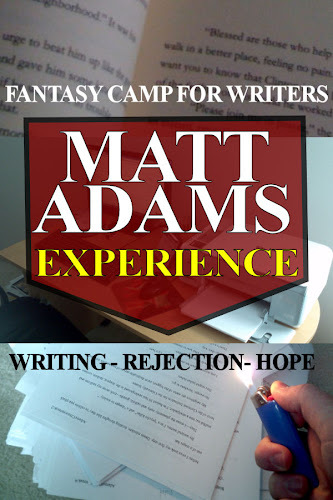 The Matt Adams Writing Experience is like baseball fantasy camp...for writers! During this intensive, two-week experience, you will endure the ups and downs of the life of a writer, from juggling a day job and writing to fulfilling your daily word count, submitting your work, handling rejection, and much more! 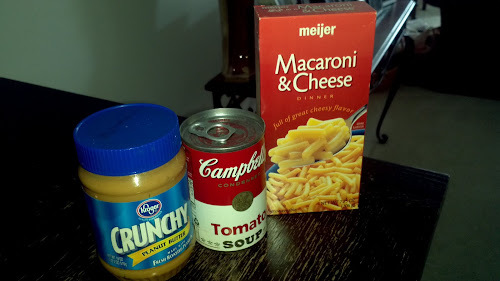 Eat Like a Pro Writer! Fantasy writers who manage to publish a story will be awarded a meal voucher for the Virtual Writers Store! Selection may vary by region. Prices non-negotiable. Fantasy Writers will work a full eight-hour day at a vocation of the staff's choosing. They will then have the option of waking up before this day job to write or waiting until after work to meet their required daily word count. 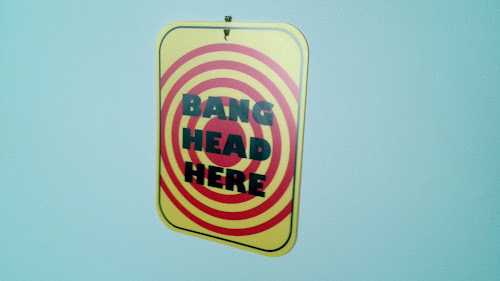 Fantasy Writers will settle for the mediocre tools used by real writers! PC's! Notebooks! The possibilities are endless! Standard work station pictured. 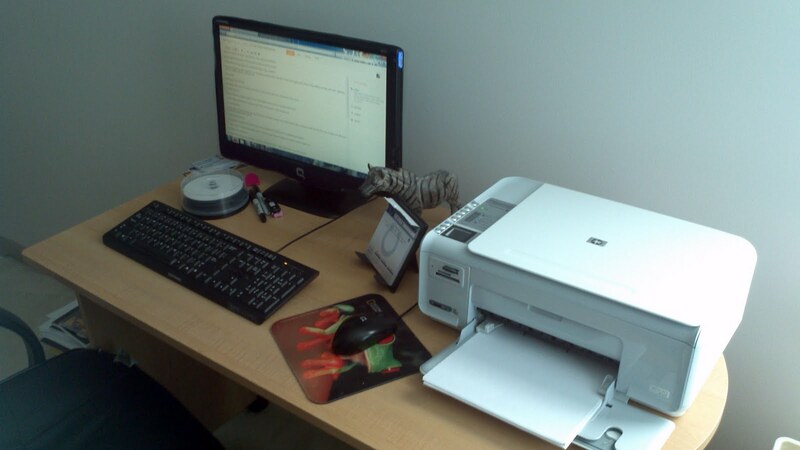 Zebra statue and Colts desk calendar not included. Fantasy Writers will enjoy the full benefits of an average writing chair! It tilts, it spins, it leans back...it even has armrests! 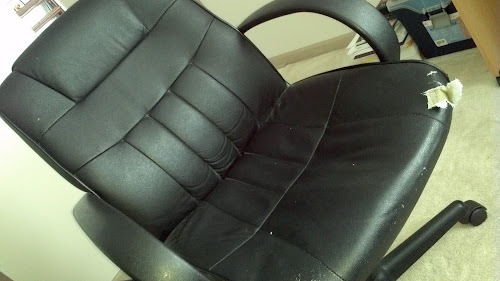 Standard writing chair pictured with standard two weeks of wear and tear. Go Inside the Submission Process! In addition to meeting daily word counts, guests will scour the internet for markets for their short story and divide their writing time between writing and composing cover letters! Sell Your Work...to an Agent! Fantasy Writers with perfectly-polished prose will receive authentic form rejection letters for their efforts! Standard rejection letter. Results typical. As the short stories and rejection letters pile up, Fantasy Writers will be asked to keep submitting! 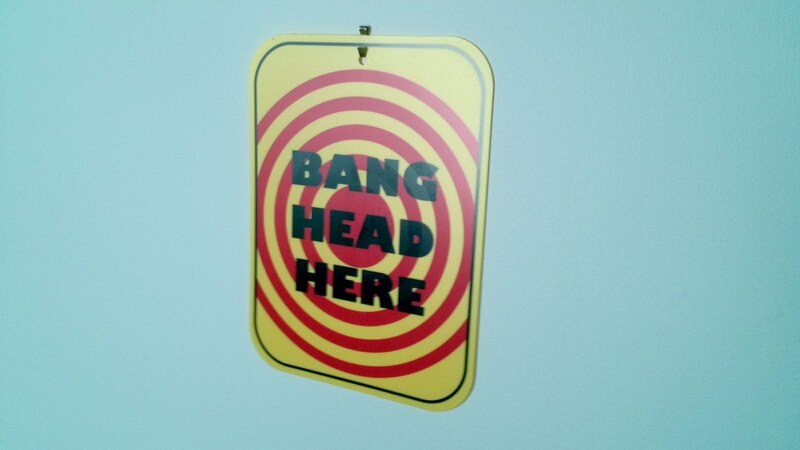 Standard "Bang Head Here" sign. Multiple stations available for multiple visits. 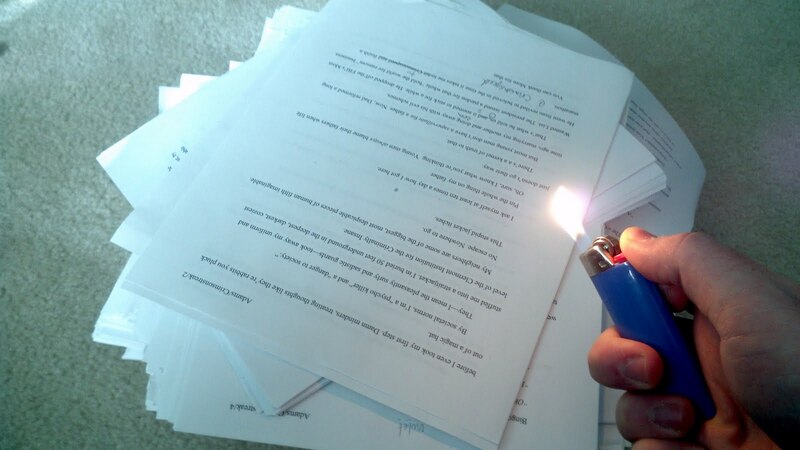 As the visits to Rejection Avenue continue to pile up, Fantasy Writers will have the option of torching their manuscripts. Standard manuscript bonfire. Results typical, but not recommended. Explore self-publishing, small press, and traditional Big Six publishing...all while our staff advises you on why none of those options will work for you! Fantasy Writers who keep writing, revising, submitting, revising, writing, revising, submitting, writing, revising, and submitting may just make it big! Standard book contract. Results not guaranteed, though achievable through persistence. The Matt Adams Writing Experience is now taking applications for Fantasy Writers! *Includes $500 deposit. Deposit is nonrefundable, even in the case of death.